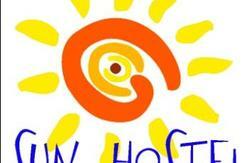 Sweet House Hostel is in center of Belgrade. Just 5-10 minutes walking distance from all main attractions, but at the same time isolated from hustle and bustle, you will find house with the nice yard and free and safe parking. Pleasant and always smiling staff will welcome you with our famous schnapps and help you with everything you need. Sweet House Hostel has four rooms. The ground floor room has six beds, TV, AC and comfortable sofa. 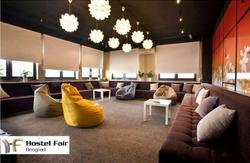 This room is ideal for groups and those who love hanging out with friends. Right next to the room is fully equipped bathroom. On the first floor there are three modern rooms and one bathroom. Two double and one triple bed . These rooms are perfect for those who want their privacy and rest after a day spent in exploring Belgrade. Free wireless internet and fax are available 24 hours, as well as a computer. We have also prepared free maps of the city which will help you reach all the cultural and historical sights more easily, as well as the museums, theaters, restaurants and of course large shopping centers for shopaholics. 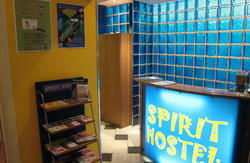 Rent whole hostel at special prices. Check it out- It is ideal for big groups! For those who are coming by car, we have free and secured parking lot, capacity for six cars or three mini vans. Sweet House Hostel is equipped with kitchen, dining room, and as we go a step ahead we have provided you a mini bar with a wide range of drinks. 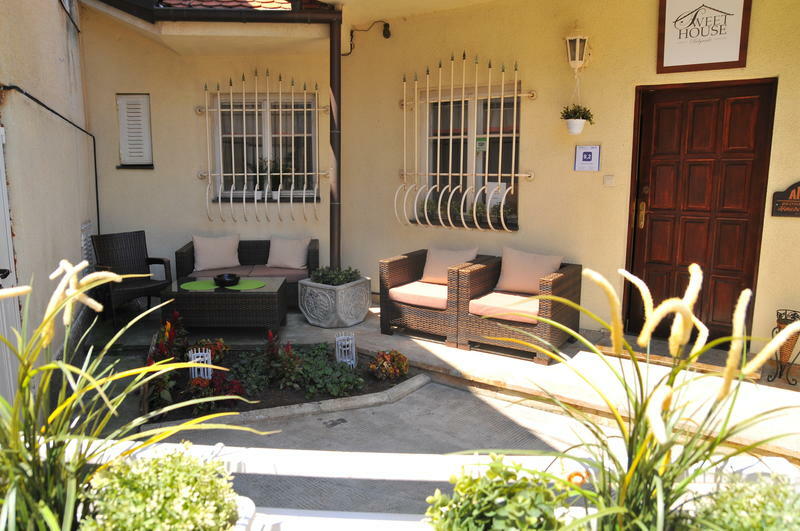 Smoking in a hostel is NOT ALLOWED, but for all smokers we have a garden with a cozy set. Ideal spot for a morning coffee or a beer with your buddies. GPSco-ordinates 44 48 55.3 E 020 28 02.0. We are just 15 minutes by foot from the Central Railway and Bus Stations. Bus and trolleybus station Politika is a minute away. Public transportation in Belgrade is well connected, so this means that from here, you can go to any part of the city. Nikola Tesla Airport is about 18 kilometers away from the center. We can arrange a transport from airport at very affordable prices.